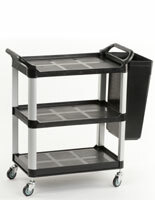 Do you need utility carts for your office space or retail location? These service stands are perfect for moving cleaning supplies or goods from one location to another while organizing and separating them. 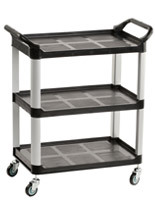 These rolling units take up little floor space and can be easily maneuvered in small spaces or pushed off to the side for ample room. 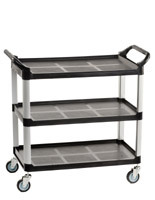 Sturdy metal or plastic shelves make it a breeze to organize and stack goods or products. These versatile portable carts for storage allow both workers and consumers open access shelves and stocked products as needed. 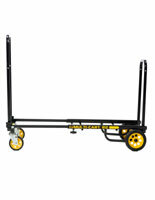 This type of sturdy equipment is made specifically for high-traffic areas and constructed with thick plastic or durable steel framing. 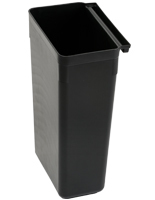 Even the most cost-effective material is designed to withstand years of use and wear and tear. 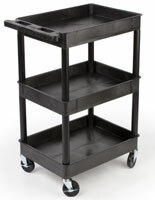 Heavy duty plastic trolleys can be easily cleaned for use in kitchens or restaurants as well as blend seamlessly with any retail setting and décor. 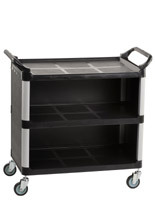 Many of these restaurant or commercial utility carts include optional side baskets for additional storage space for janitors or other workers. 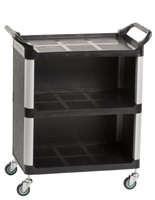 Built-in or add-on storage bins or pockets are large enough to hold towels, soaps and cleaners while the trays can be extended for mops and brooms if necessary. 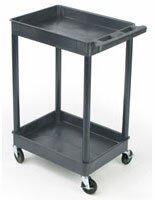 Where can commercial service and bus carts be used? 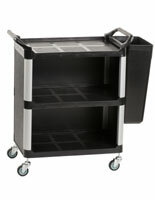 Heavy duty utility carts can be used in retails settings for loading and unloading goods from back storage rooms or closets. 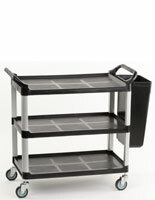 Porable equipment trolley stations are perfect in restaurants to hold silverware, napkins, dirty dishes and menus. 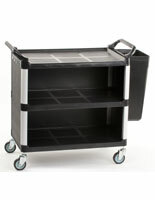 Sturdy rolling wheels make these units perfect for craft classes, schools or other community centers that need portable housing for various supplies. 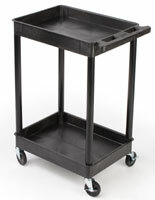 Portable restaurant service equipment stations are ideal for a variety of locations because of their durability and versatility. 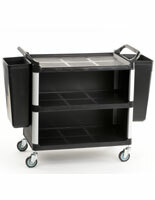 The units are made from stable plastic which can be bought in various colors to match any environment. 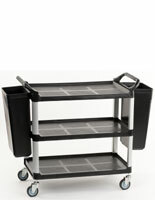 The locking wheels create a strong base for a large amount of products or goods. 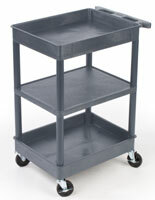 When locked, the carts will no slide even on uneven or wet ground. 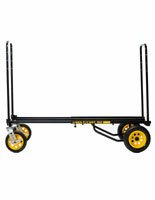 The wheels make it easy to move the storage unit around indoors and outdoors. 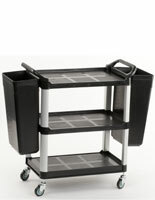 Catering companies, restaurants and event halls can make use of the carts for all their food service needs. They are also perfect for cleaning companies who need to arm their employees with a large amount of supplies and equipment for their daily jobs. 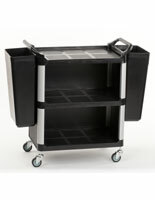 Order online today at wholesale prices and outfit your business with economical mobile storage solutions today!